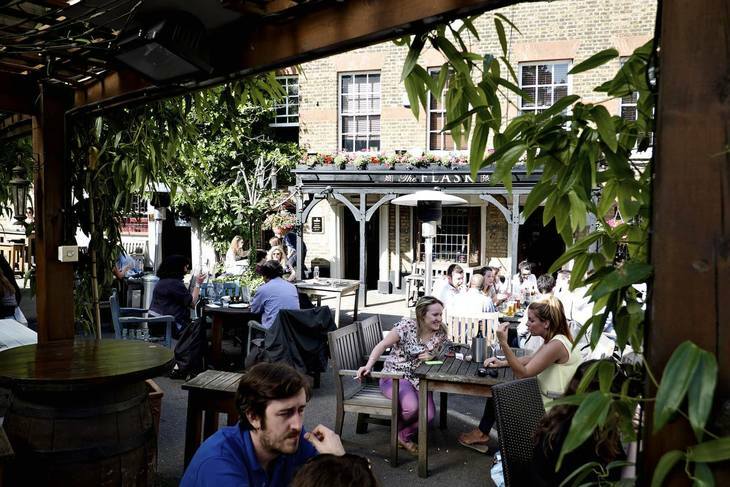 Our personal pick of the best outdoor drinking spaces in north London. 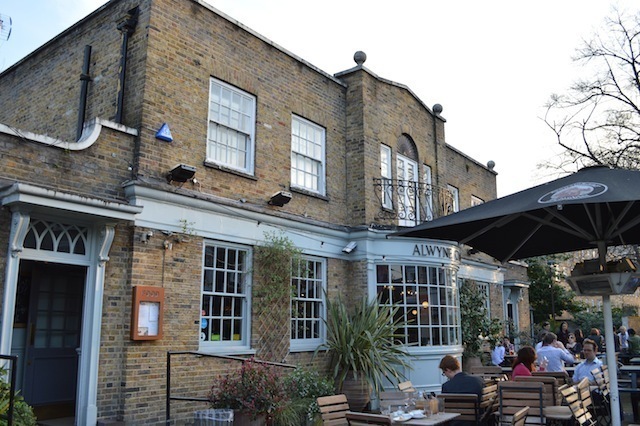 Perhaps the most up-market pub in this list, the Albion is as much a restaurant as pub — unsurprising given the monied clientele of elegant Barnsbury. The vibe feels more informal in the beer garden, though. 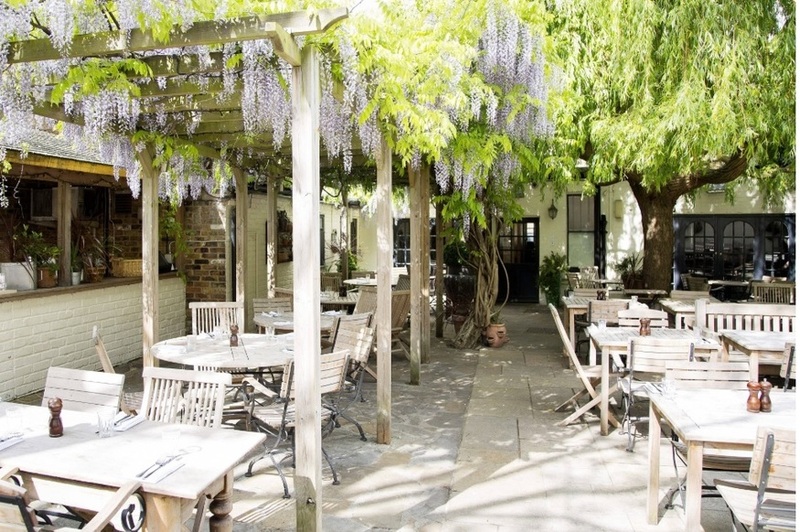 Few drinking spaces look as good in the early summer as the wisteria tumbles down between tables. More. This place, a short walk from Highbury Corner, has been around for centuries, and has the air of an old coaching inn. 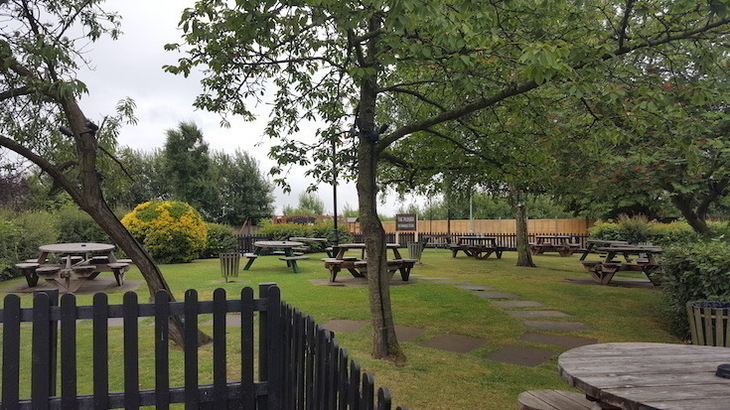 The extensive beer garden wraps around the pub and features sheltered seating as well as picnic benches. More. This family-friendly pub has a decked-over garden festooned with fairy lights, bunting, statues and other novelty items. Parents can sup CAMRA-winning beers in pleasure while little ones play around on the bouncy castle. More. 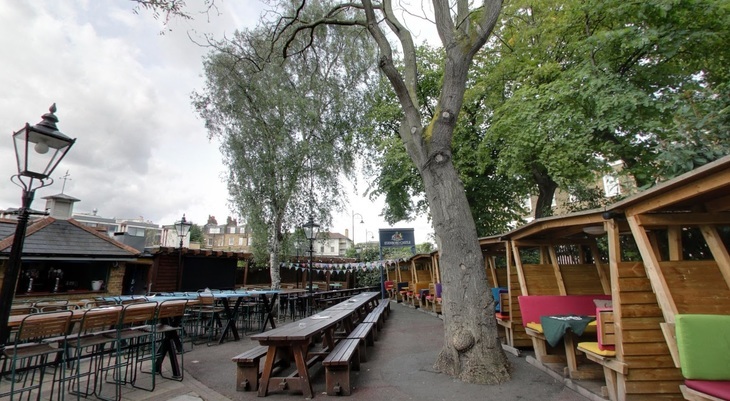 We've spent whole summers propping up the beer garden at this tucked away Camden Town boozer. It has a seat for every type of bum, from standard picnic tables, to comfortable outdoor sofas, to cute little chalets that look a bit like half-inched kiosks from the market. Expect weekend barbecues in high summer, and enjoy outdoor heating in winter. Only downside? Not very green. More. Image via the Faltering Fullback. This unique pub near Finsbury Park is really three pubs in one. The main bar looks like a typical local's kind of place. Head through the doors into a much larger sports-themed room befitting the pub name. But the garden is the heart and soul of the pub. Nobody ever enters this multi-level treehouse without venturing the phrase 'Ewok village'. The greenery expands right around the pub, whose walls are covered in ivy, creepers and hanging baskets. More. 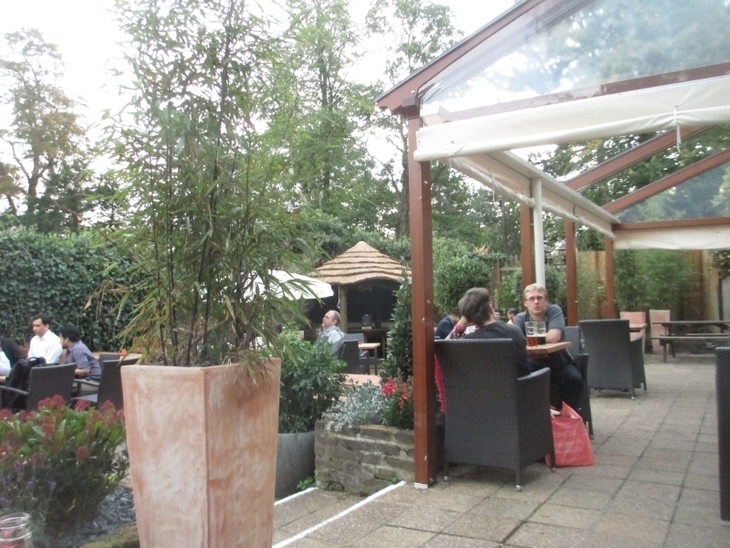 There are bigger beer gardens in Highgate — see, for example The Gatehouse. However, we're plumping for The Flask for one simple reason: if you've struggled up the hill from Hampstead Heath, then this comely yard is the first thing you reach at the summit. Nowhere have more pints been accompanied by the words 'ah, I've earned that' than here. It's rather attractive, fringed by hedges, the Georgian pub and Pond Square (supposedly haunted by a phantom chicken). Part of the garden is sheltered, should a sudden downpour materialise. Sadly, our photo doesn't quite do justice to this one. On a sunny day, this looks glorious. For such a large area, the Finchley and its 'burbs isn't particularly noted for its pubs. The Old White Lion, close to East Finchley tube is one of the exceptions. A grand, food-focussed pub built on the site of an old tollgate gives way to an equally splendid garden. Choose among picnic tables, patio chairs and outdoor snugs. 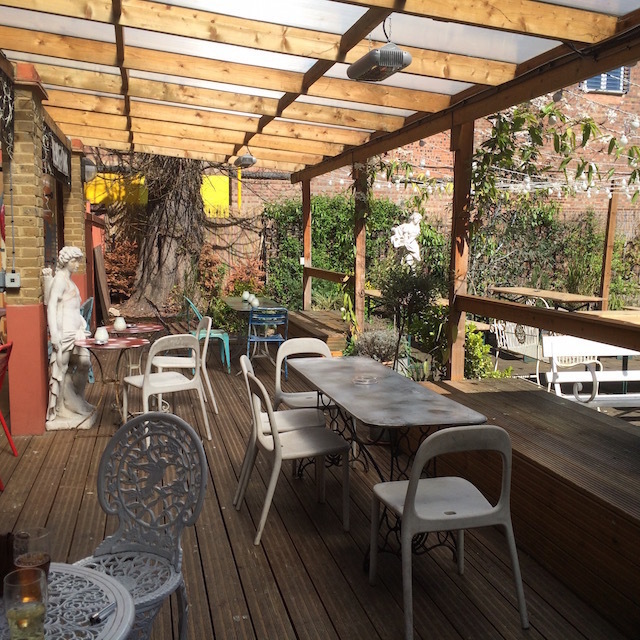 One of the best places for an al fresco Sunday roast in north London. More. This was at opening time. Give it 30 mins (on a Sunday) and every seat is taken. Naturally, the further you head out of London, the bigger the beer gardens get, thanks to lower land costs. Any of the big, semi-rural pubs on north London's fringes could qualify for this list. We're picking the Plough for three reasons. It's certainly big, and can accommodate any number of Sunday lunchers (the car park might be more of a bun fight). Unusually, it also has a decent playground. That's good news even if you don't have kids, as it focuses the noise and energy in one quarter of the garden. And third, it's London's most northerly pub, so you can tick off another item on your 'quirky London' bucket list. More. No list of north London beer gardens could be complete or reputable without mention of the Spaniard's. Getting there is half the experience. It's a long slog uphill from either Hampstead or Golders Green tube, and many visitors approach from the Heath. This most enshrubbed of beer gardens feels like some circle of heaven after all that effort. 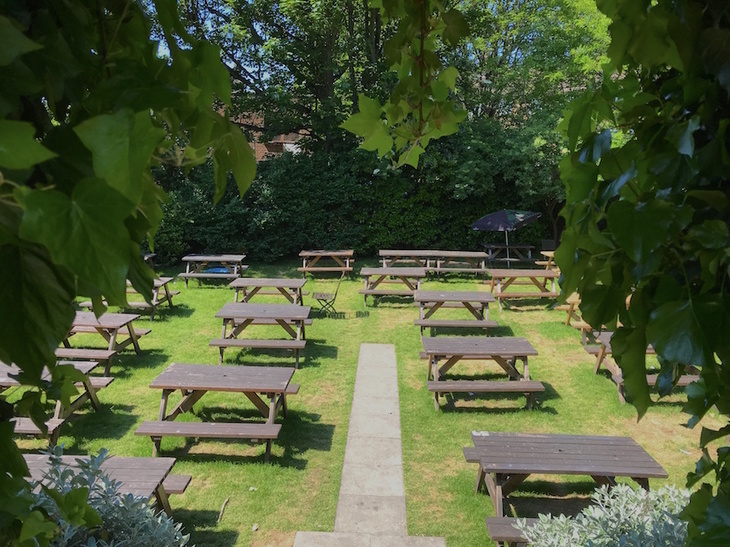 The pub itself is steeped in history (some of it a bit suspect) and ghost stories (all of it suspect), but the garden is the greatest treasure of all. A barbecue and outdoor bar operate on popular days. More. The Antic pub chain rarely ventures this far north but, in the White Hart, they've got a local gem. The spacious old-school interior is matched by a spacious old-school beer garden. Or rather two of them. An already generous outdoor drinking area suddenly opens up, via a hole in the hedge, to reveal an even bigger garden at sunken level. You could seat hundreds out here. More. For a (near as damn-it) comprehensive map of all London's notable beer gardens, see our map. See our Best Pubs in London database for more ideas. 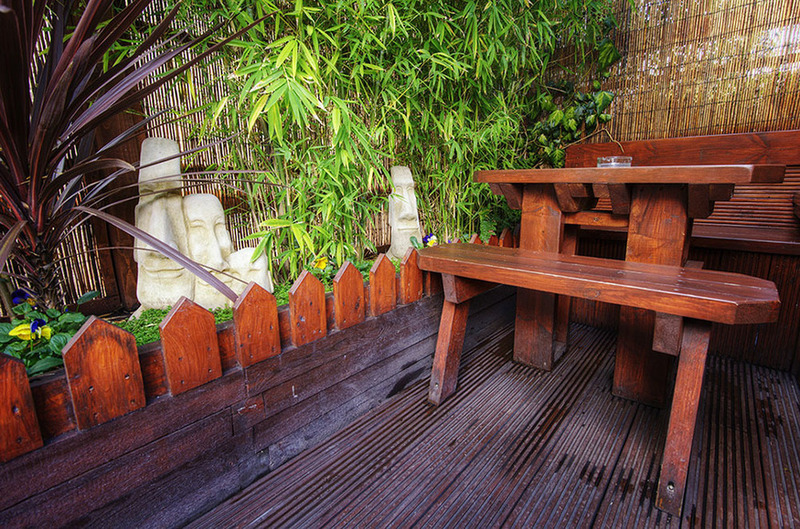 Have we missed your favourite beer garden out? Give it a shout out in the comments below.